The wrestling team sent sophomore, Cooper Peterson, and senior, Hayden Strain, to the state tournament. Cooper Peterson wins his match. With another successful season under their belt, the Cannon Falls wrestlers reminisce over their achievements of the year. From sophomores to seniors, team members excelled all the way up to the state tournament. As sophomore, Cooper Peterson, put it, “This season was probably the most fun season that I ever experienced. We had a great group of guys who were all striving to get better. We worked hard, but had a lot of fun while doing it.” Sections and State are a good place to display the effort put into the season, and with many on the team peaking at the perfect moment, the work has finally paid off. Getting back to State and placing 4th was a very big accomplishment for Strain, and being a captain gives the younger wrestlers motivation to strive for greatness, like through encouragement during strenuous running drills in practice. He said, “It’s a once in a lifetime experience. I’m happy I was able to go to state twice. I hope next year we send a bunch more individuals to state,” and his hope for the future is thriving throughout the whole team. 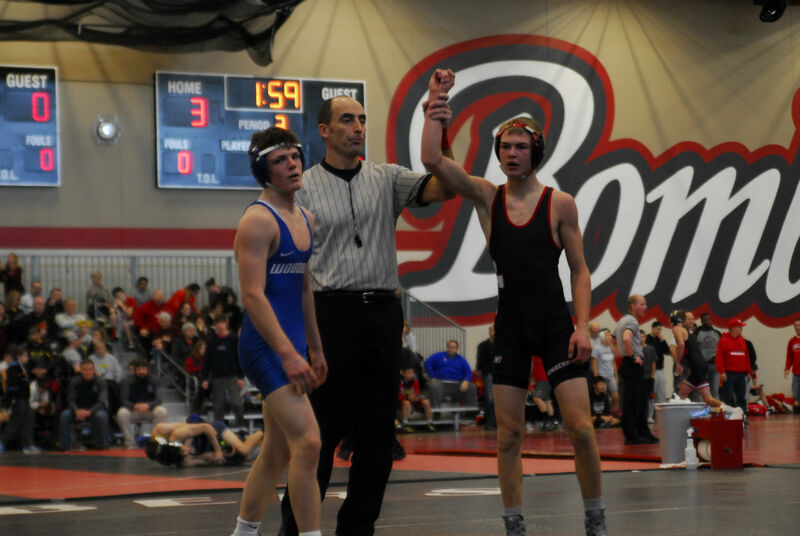 Many others were satisfied with their season, and Peterson’s recap on his journey to state expresses a lot of how his other teammates may have felt, “This season was one wild ride for me, wrestling up as high as 126, and as low as 113. I had never wrestled multiple weight classes in a season before, but I liked the challenge of it and I feel that it helped me become a better wrestler. Making it to state was an unreal experience. I’m still amazed at the whole journey that I took to wind up there.” The road for a wrestler is an upward climb, but through the results of this season, one thing is clear to see: Cannon Falls wrestling is on the rise.